I like to eat dessert. There, I said it. Phew, I feel so much better. But, what I don't like devouring is crappy dessert. Like an ill-fitting, uhh, suit, it just doesn't suit me. Not to sound like a girl -- although I almost always do -- a bad dessert is a waste of calories. And a calorie waste is unacceptable with bikini, high school reunion and every-friend-from-college-wedding season upon us. I NEED TO LOOK GOOD - or at the very least have delicious dessert stories to share to explain for the expanded waistline. Wondrous Winter Apple & Strawberry Lemonade Lolli-pies - The pie equivalent to a cake ball, I really enjoyed these Lolli-pies. Especially the apple variety in the foreground of the picture above. Sweet, with a little bit of spice, it reminded me of the grocery store sugar-coated apple pockets I devoured for most of my childhood (... and into my adulthood). 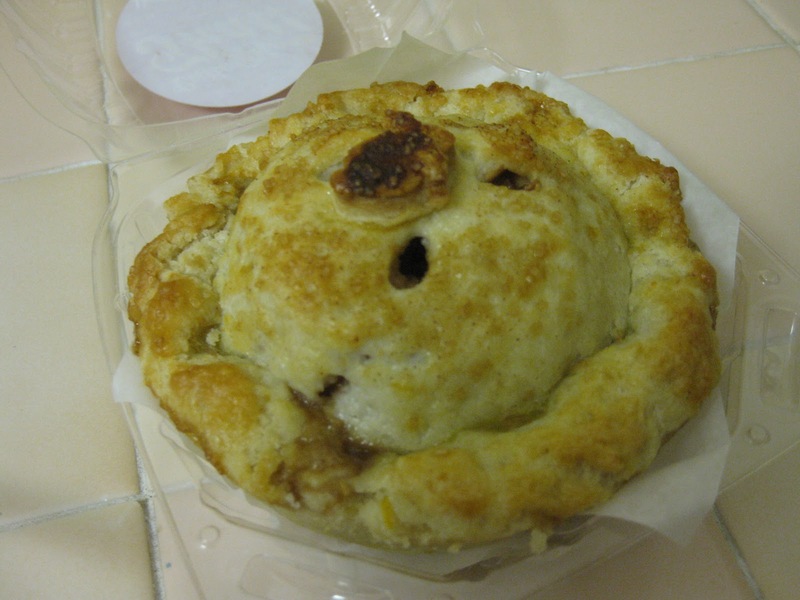 4" Wondrous Winter Apple Pie - This thing was actually much bigger than the 4" and the picture portray. It also wasn't your average, ho-hum, run of the mill apple pie. By combining elements often found in autumnal/winter pies (allspice, cloves, ginger, etc) with perfectly thin organic Fuji apples, it made for a scrumptious cold evening dessert. Best of all: it had a TON OF CRUST. Just a ton. Crust for miles! 4" Divine Blood Orange Meringue Pie - Truthfully I had very low expectations for this mini-pie because outside of apple and pumpkin I'm not huge on fruit pies. And then I actually tried the pie and now love Blood Orange Meringue Pie. LOVE IT. This thing is so delicious. Baker Tonya Dooling's use of real blood orange juice really sweetens the pie, while at the same time giving it a very refreshing taste. The crust is thinner than with the apple pie, but again quite delicious. 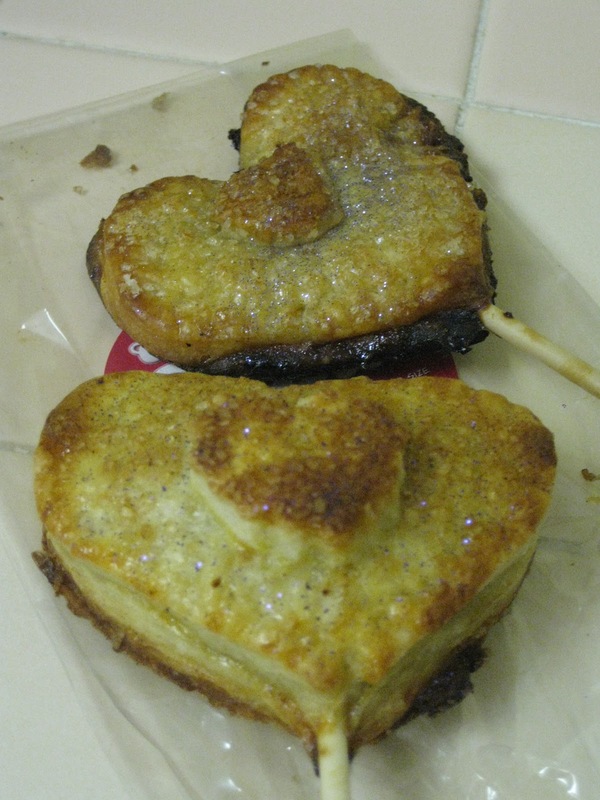 Muttloaf Paw Pies - Not to leave anyone out, the good people at Cutie Pie That! 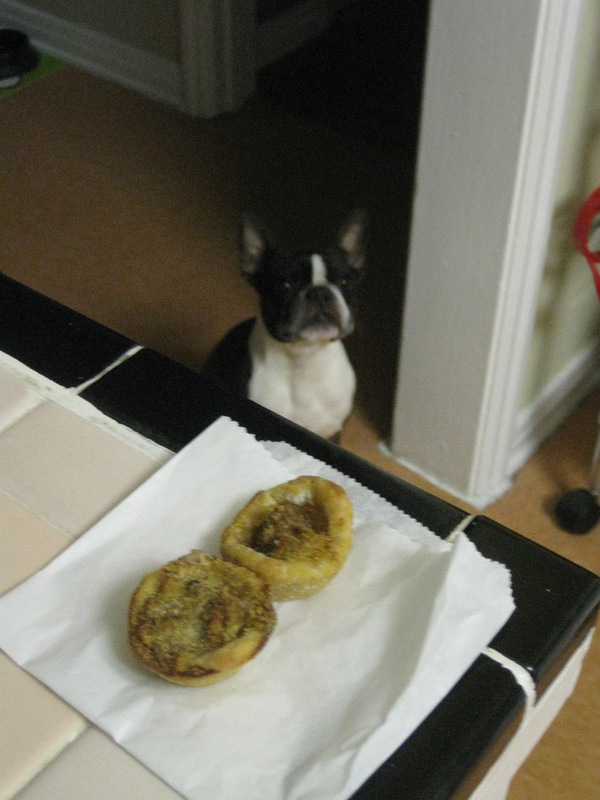 also threw in two of their dog-friendly minipies. Full of ground turkey and mostly organic veggies with a whole wheat flour crust, Chloe pretty much went as crazy as I did for her CPT pies. Overall, a great first Cutie Pie That! experience. Delicious, fresh pie varieties with tons and tons of crust. 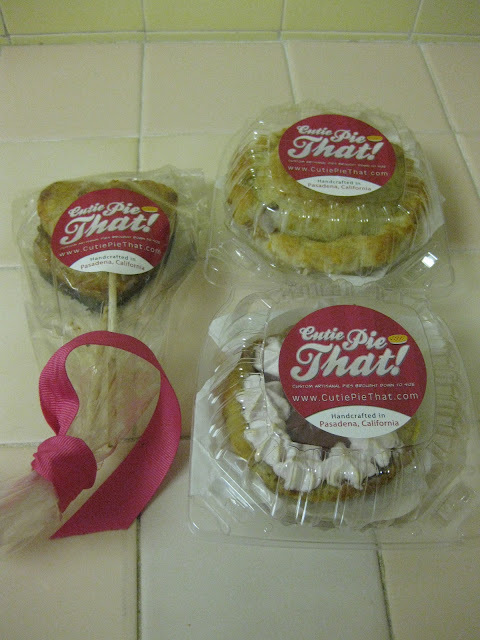 And, dude, a pie on a stick? YES PLEASE.